If more than one sink or other fixture is slow draining or backing up, you most likely need sewer pipe cleaning or repair. Major sewer line problems don’t have to mean tearing up the yard and driveway anymore. 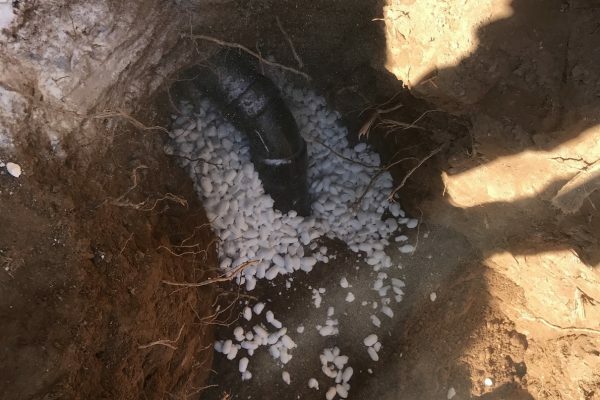 Today’s trenchless sewer line repair and replacement technologies reduce that to just one or two holes just a few feet across. In some circumstances, it can even be a completely no-dig solution. 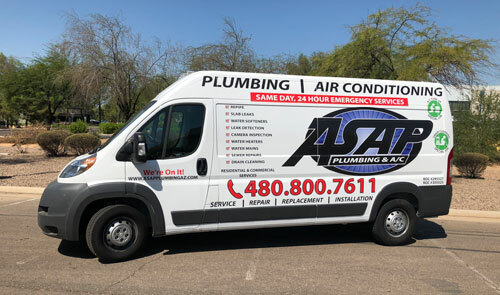 ASAP Plumbing provides affordable trenchless sewer line services to all Phoenix, Chandler, Gilbert, Arizona and surrounding areas. Schedule an appointment today. Our experts will carefully diagnose your sewer or drain line problem. That often includes an in-pipe video inspection you can look at yourself. We’ll then discuss your options of cleaning, traditional line repair and replacement, and trenchless sewer repair or replacement. A spot sewer repair is likely to be your best option if problems are limited to one short section of pipe. But if the line is old or in generally poor condition replacement is your best option in the long run. We’ll provide upfront pricing so that you can make the best decision for your particular circumstances. There are two main technologies to fix major problems without having to excavate — pipe bursting and pipelining. Just a decade or so ago replacing a sewer pipe meant heavy equipment digging a trench from your home or business out to the street. And often cutting through a driveway or sidewalk and replacing it. Unfortunately, that may still be necessary if the existing pipe is too corroded for pipelining or a better choice when pipe bursting is more expensive. 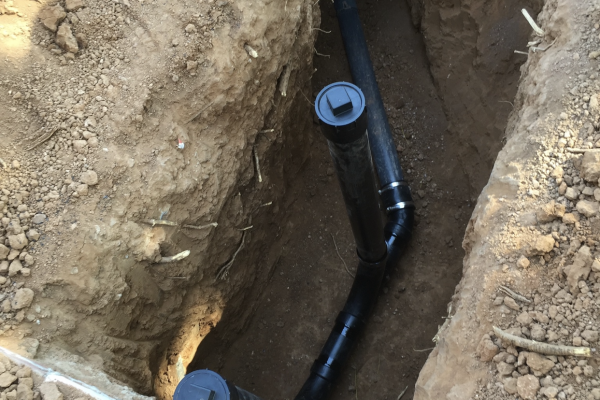 This trenchless technology replaces the existing pipe with a single high-density polyethylene (HDPE) tube. After thoroughly inspecting the line and removing any roots, a machine is sent down into the pipe. It forces the old pipe to burst open while it pulls in the new HDPE line inside the old pipe. Access is through a hole at each end of the line, digging out roughly 3 by 3 feet. On the plus side, it’s a complete replacement with an extremely durable material that’s the same diameter as the old line. On the downside, the mechanical expansion of pipe bursting means it shouldn’t be used under a concrete floor slab. Also, since there needs to be a pair of holes for each connecting drain, it quickly becomes expensive and disruptive when there are several connections. Sewer pipe lining leaves the existing line in place, sealing and reinforcing it with an inner cured in place pipe (CIPP). Under most conditions cracks and holes in the existing line aren’t a problem. A video inspection will tell. A special device pulls in a resin-saturated felt tube and presses it into place with a sort of balloon. The resin cures in about 1 hour. Just one access hole is necessary, so it’s less intrusive. But it’s not suitable if the pipe is collapsed, has sharp turns or angles, or isn’t round. The liner is about 1/4 inch thick, but it’s smooth and seamless so the flow rate stays pretty much the same. For residences access through a toiled or clean out are rarely adequate, hence the access hole. But for large commercial lines, it may be possible to use a cleanout or vent for a completely no dig sewer repair. 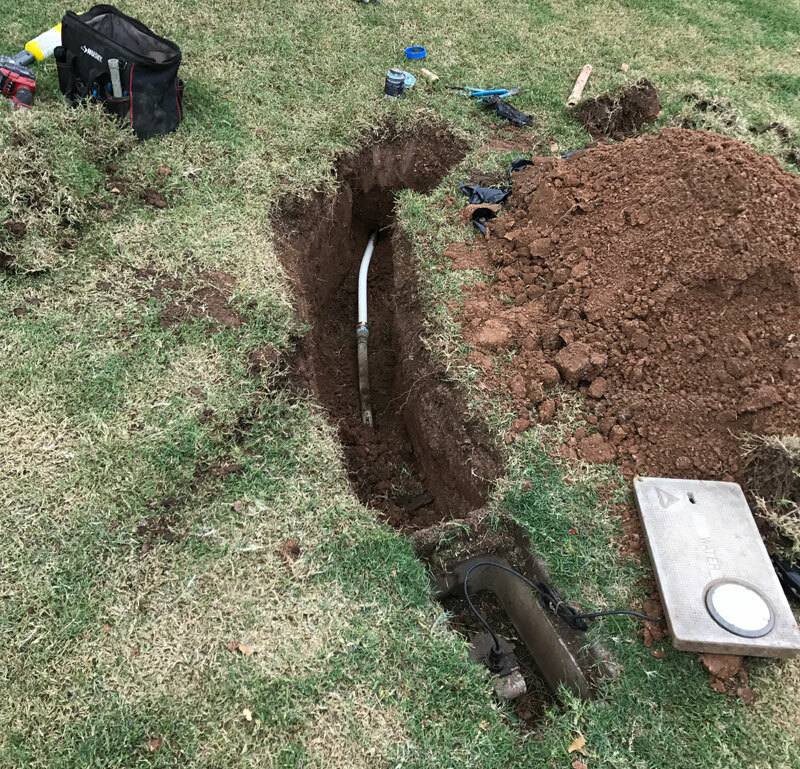 Trenchless sewer repairs and replacements are faster, eliminating the coordination and waiting for trenching equipment and re-establishing landscaping. Both technologies are suitable for older clay sewer lines. And both have no joints and smooth inner walls. That makes them more resistant to clogging and pretty much impervious to tree roots. With warranties up to 50 years and expected lifetimes as long as twice that you won’t be needing a sewer line replacement any time soon. We’re ready 24 hours a day. 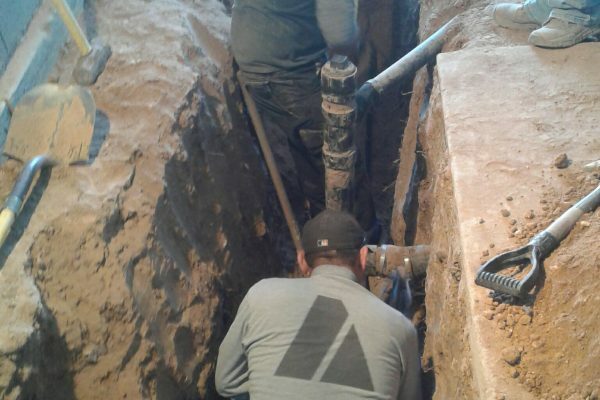 When you choose ASAP for sewer line repair and installation plumbing services you can rest assured that all work will be completed in a timely manner with top-quality materials and exceptional workmanship. That assures you of superior long-lasting results. We’re properly licensed for sanitary sewer work, and our experts will consult with you to determine the best route forward. You’ll receive a detailed estimate or fixed price, at highly competitive rates, before work begins.